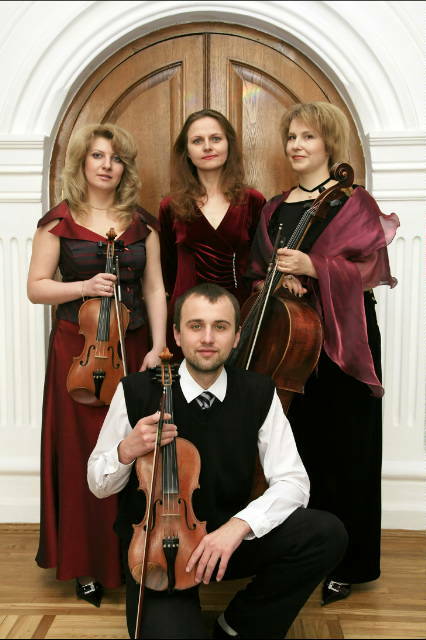 We are the ensemble of classical music «EXPROMT-KLASSIKA-QUARTETT». We are from Belarus. We are working and creating in the city of Mahiljow. We perform various popular classical music at Mahiljow Drama Theatre. There are original compositions for the piano quartet by Mozart, Beethoven, Mendelssohn and a lot of arrangements of popular classical music in our repertoire (instrumentations for piano quartet by Nadja Milovanova). We often take part in different concerts, performances and private celebrations. Our ensemble is looking for friends as among professional musicians so among amateurs. We are ready to exchange of notes and ideas. We shall glad to receive news from You!! !